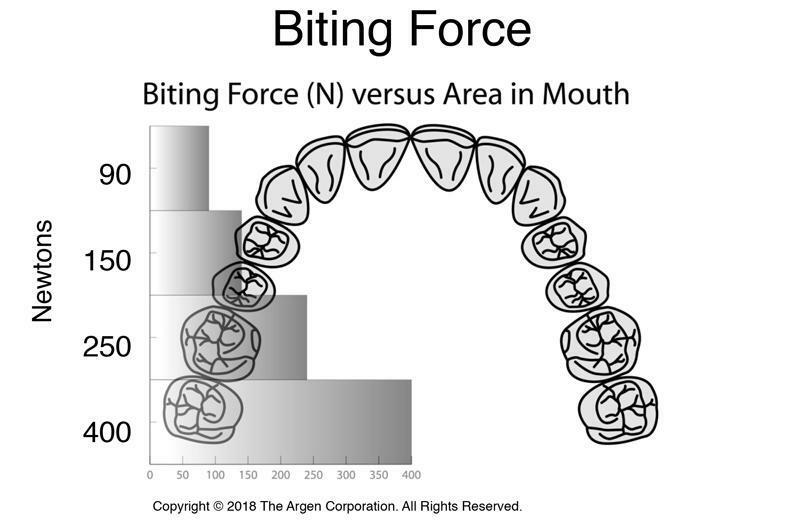 The location of a restoration, and consequently the biting force as shown in Figure 1, is critical to determining the required strength level of a zirconia material. Most fractures occur to molars and pre-molars as a result of the high stress they endure in the back of the mouth. To avoid fractures, the occlusal thickness must be adjusted to compensate for the strength of the selected zirconia material. 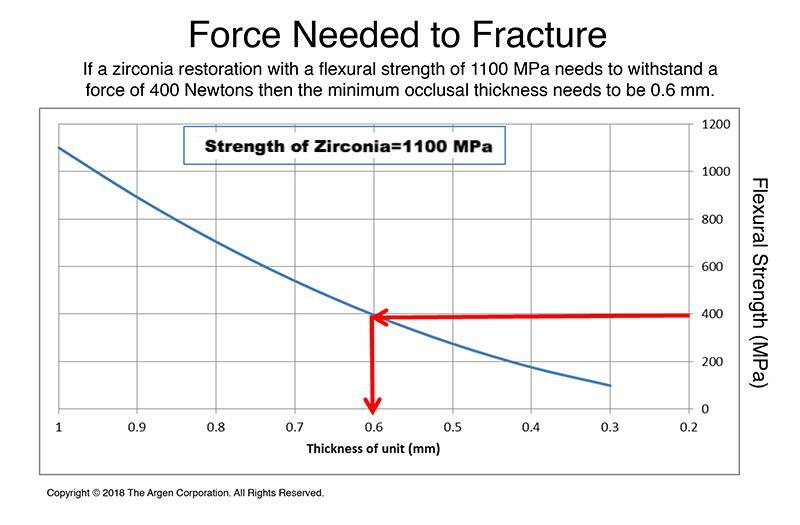 For example, as demonstrated in Figure 2, if a zirconia restoration with a flexural strength of 1100 MPa needs to withstand a force of 400 Newtons, then the minimum occlusal thickness needs to be 0.6 mm. In short, the preparation design must accommodate the strength of zirconia used.